Citizen science programs rely on volunteers like you to help us better understand our natural environment. Your observations of wild plants and animals help to identify and monitor populations, and track species distributions and spatial trends, over time.  Below are many citizen science programs helpful to our biosphere. These programs are a great way to learn new skills and contribute information that aids the conservation of wildlife. There are lots of programs to choose from! 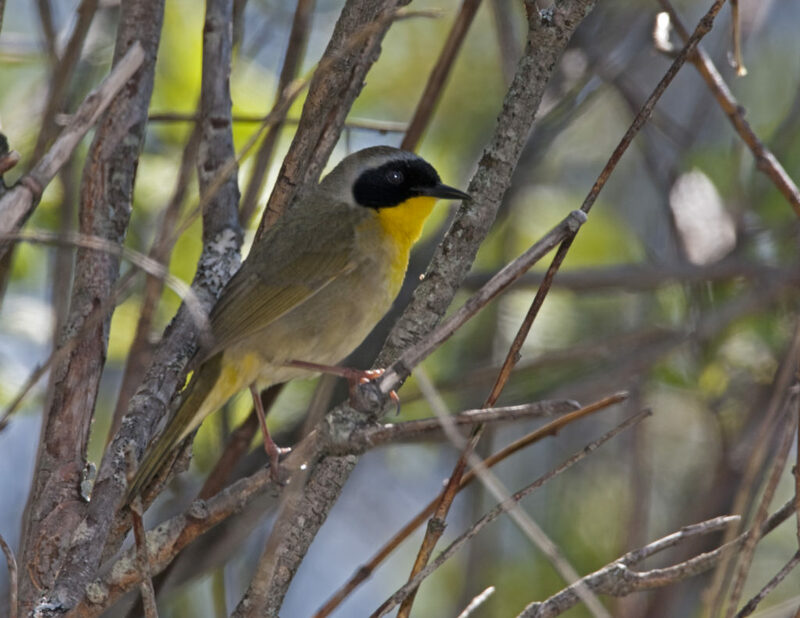 Bird Studies Canada have a variety of citizen science programs. Explore their website to find a program that interests you! 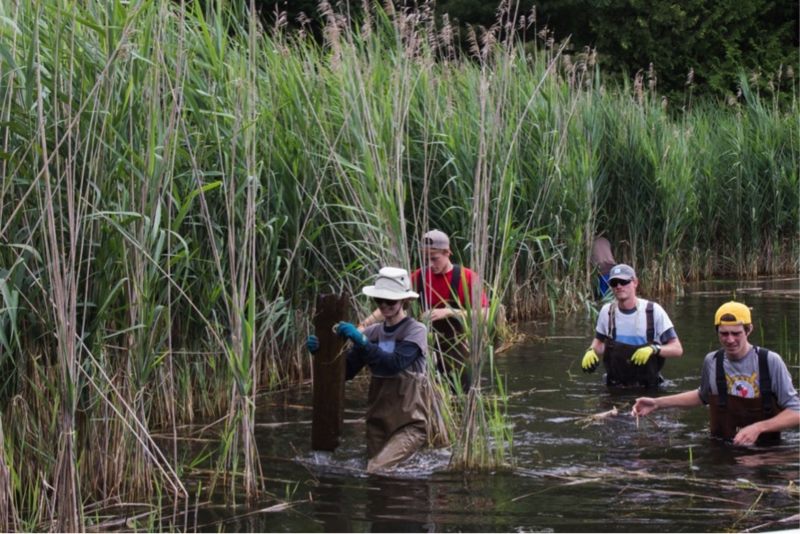 Volunteers clearing out the invasive species, Phrag. 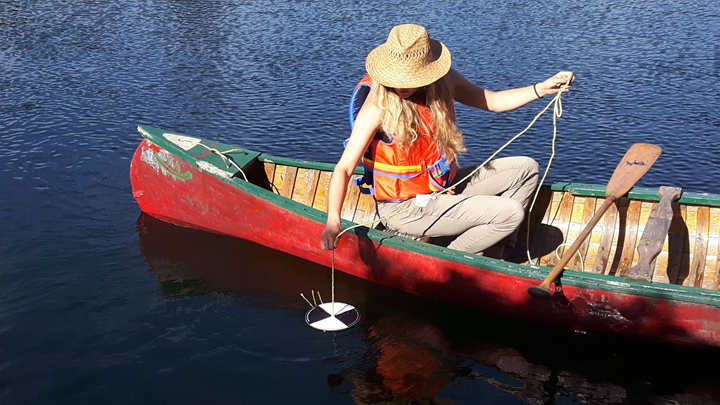 Invasive species are spreading quickly, and you can report their location (including insects, plants and aquatic species) using the Early Detection and Distribution Mapping System (or EDDMapS). 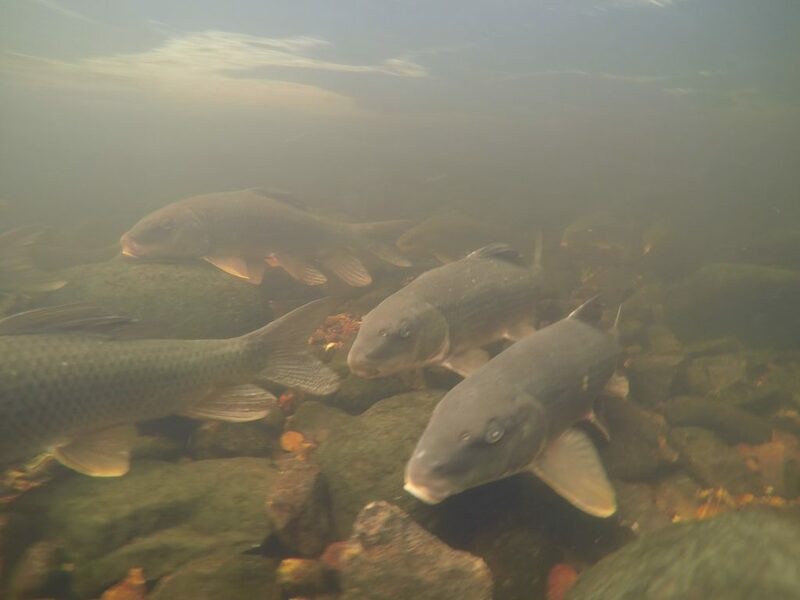 You can submit invasive species sightings using either a smartphone or a computer. Sightings are uploaded to EDDMapS and emailed directly to reviewers to confirm. The maps and information are freely available to scientists, resource managers and the public. Having good data on invasive species locations improves our ability to manage and respond to them. As of May 2018, EDDMapS contains more than 3.3 million records, and 38,890 of these are from Ontario. Download the app and/or register online at eddmaps.org. Every observation can contribute to biodiversity science, from the rarest butterfly to the most common backyard weed. iNaturalist shares your findings with scientific data repositories like the Global Biodiversity Information Facility to help scientists find and use your data. All you have to do is observe. 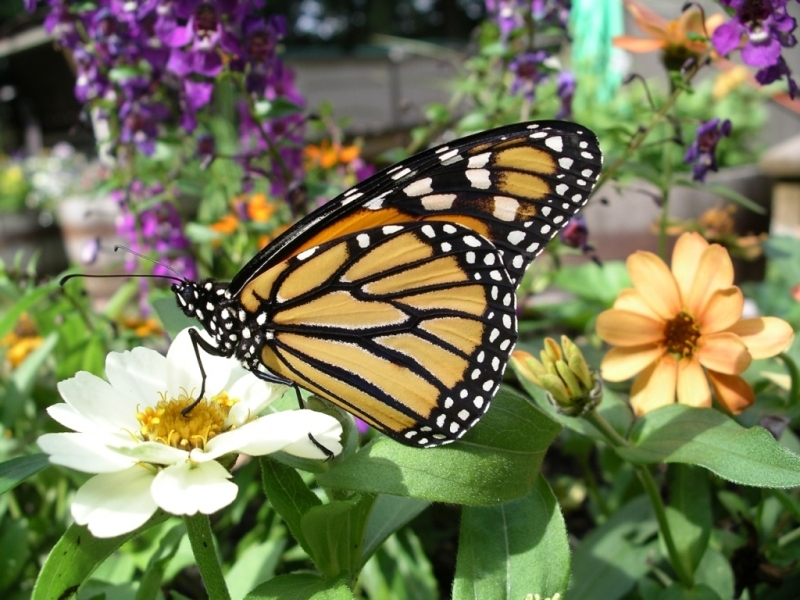 Mission Monarch is a research project dedicated to monarch conservation through citizen science. Help scientists better understand the breeding habits of the butterfly!